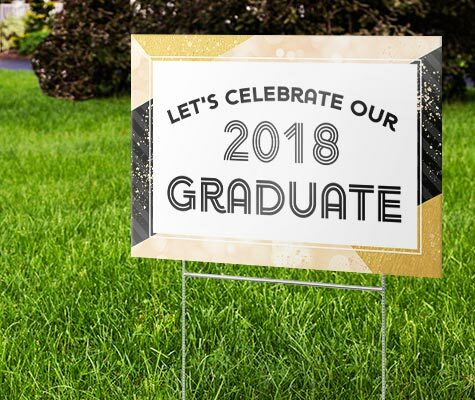 Our yard signs are made from durable, corrugated plastic constructed in the USA and come with a metal stake to help them stand proudly in your yard. Installation is quick and easy! We recommend putting the metal stake in the ground wherever you’d like to display your message and then gently sliding the sign onto the metal stake afterwards. Yard signs are printed with high-quality UV inks to promote long-lasting and sharper images, even after many years of use. Yard signs take 3-5 business days to print before shipping via UPS Ground. Shipping times vary based on your location. Get Started on your Yard Sign.